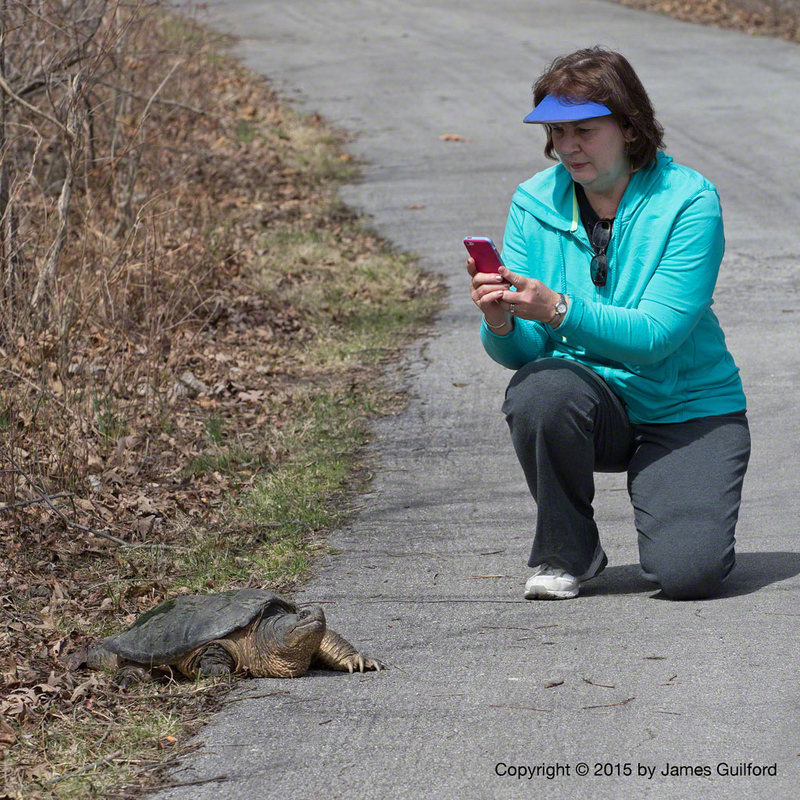 Visitors were amazed as they watched a large snapping turtle slowly make its way across the paved path at the Sheldon Marsh State Nature Preserve on Lake Erie. 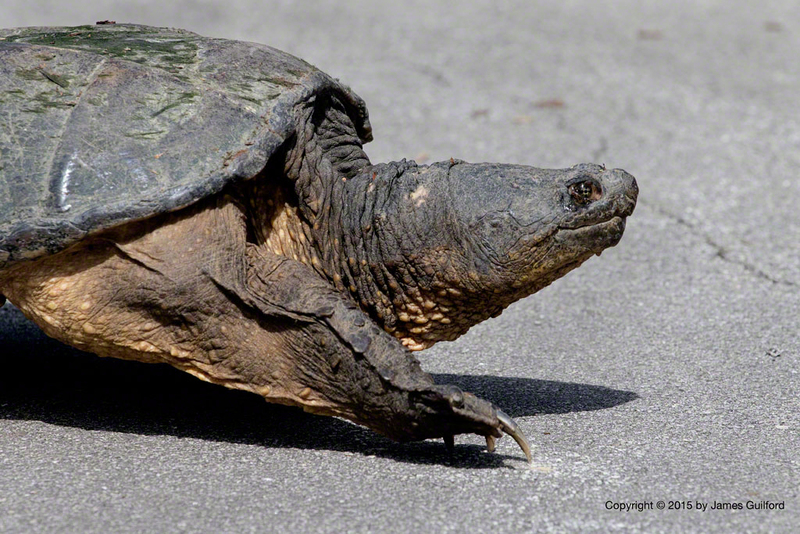 The turtle was likely a female on an egg-laying mission. The reptile, watched by several people every step of her way, eventually made it across the path, and into some low brush before tumbling, end-over-end, into an area of shallow water below. Shown here, an unidentified woman moves in for a close-up using her smartphone’s camera. I used a 200mm lens.